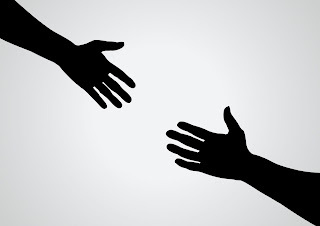 Give students a hand: scaffolding WL writing activities to lower filter and increase success! This week marked the apertura de clases at my school. I was very excited to get to know the students. I had already prepared this "I want to know you activity" and these "Spice it up writing prompts" to thoroughly engage my upper level Spanish class. I just knew everything was going to flow so smoothly the first week right before we jump into the real learning; I was wrong. The first day as students started to introduce themselves and I probed them with extremely basic questions with the dual purpose of getting to know them and surmising their potential placement on the language continuum. To my surprise, some upper level students students showed difficulty in responding to novice-low and mid questions. One student in particular, struggled to understand a very basic question such as ¿Tú trabajas? I was baffled, even more so when he told me "Spanish 4 is like Spanish 1 all over again,"referring to the perceived level of his classmates (some students are in the class because they want to improve their language level before going to AP; others were not eligible for AP hence a negative outlook on their ability). One thing was clear, prior to giving the first fun writing activity, I had a lot of work to do. In a sense, my student was correct. Students have returned to the embryonic stage of learning a language. I suspect that as the year progresses and they"ll start registering rich, and robust input and coincidentally; the language acquisition device in their minds will start to receive, perceive and reactive again. 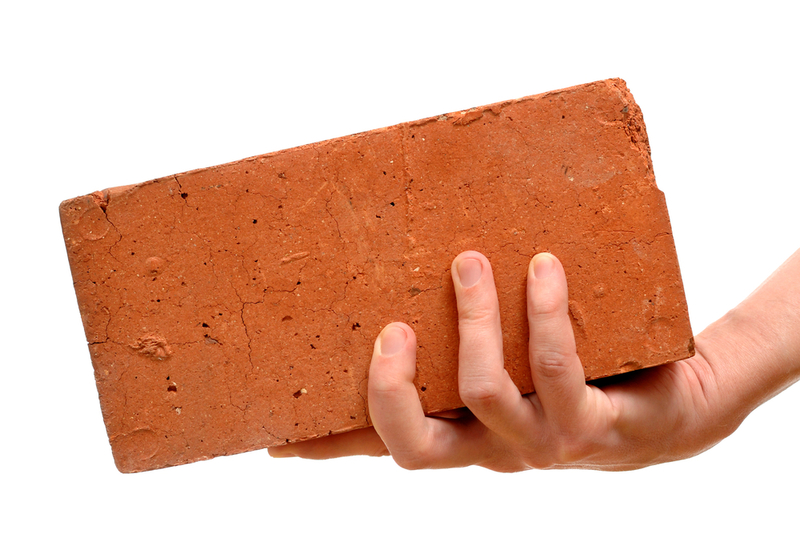 Until then, I have to proceed with caution and make sure my teaching is supportive, not presumptive and that for the next month or so I need to come along side them to pass them another brick and help them rebuild. The document reviews the basics of the present tense before they began writing. We spent about 20 minutes reviewing and working in pairs. I have never felt a class be so calm. There was an uptick in participation (the first day they were understandably timid). The class was highly engaged and productive. I was glad I had done this because as I walked around I noticed students struggled with the present tense and ser/estar usage. We discussed it and they were allowed to use that along with a sheet I had compiled from online resources to guide their first writing. It was a great lesson! Download the updated writing prompt and scaffolding activity here. 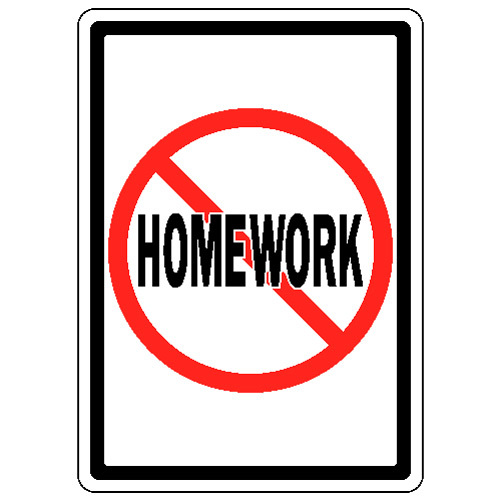 Should we assign homework in the World Language Classroom? When do we assign homework in a world language classroom? What should that homework look like? My response to all questions centered was production-oriented more than anything. I assumed "well you give homework to practice a skill." 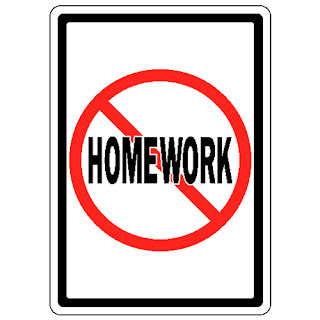 Additionally, if students did not complete work in class, then they should do it for homework. No brainer right? This philosophy had satisfied at least in my initial attempts to process the questions. However, my colleague camped out on the why and the what of assigning homework. " After some preliminary research on the matter, my colleague made me consider another rationale for extending learning beyond the four walls of the class: only give homework that connects with an authentic standard-based goal. Better than giving vocabulary words (I agree, they are isolated from the context) for definitions or verb practice unless it is within the context of this goal. Okay, tell me more! While I appreciate this approach and have used it to some extent- my novice-mid students had to annotate a text we were going to read the next day in class- part of me still thinks that reviewing flashcards on quizlet for vocabulary practice, and completing some cloze texts assignments are meaningful and help students in different ways. I am also tempted to believe that some of those "shunned skill-based assignments" are in fact differentiation for some students' learning styles. I have always seen homework as an opportunity to practice skills and class time spent synthesizing, speaking and engaging in problem-based activities. I cannot even imagine a class without some type of skill-based homework (not all classes have to mimic this). How will what we assign enable students to retain what they've learned? How will the after-school activity prime or position them for learning the next day? These questions definitely got me to thinking about the Flipped Classroom model and how it addresses the priming and positioning students for learning the very next day with using videos to reinforce concepts. I love watching MJ's awesome videos in class. They are funny and instructive, but to free up more class time for PBL and Communicative-based approach, students could preview videos at home to prime their cognition for concepts to be explored the next day. I have used great resources like these mainly as a "during the learning process" type of assignment. What if I used this model to frontload learning? Prime them for the next day. In planning some quality standards-based homework, I found these blogs extremely useful: Flipping the World Language Classroom and Flipping with Kirch. 1. He emphasized that teachers need to remember that our class is not students' only class. We also have to be mindful of the context, students' lives and if the homework is compatible with their circumstances. It would be impossible to implement a Flipped Classroom when most students have little to no internet connection. This makes perfect sense. 2. He was also passionate about the nature of Real World Connections. These assignments help to answers the students' biggest questions. The second one resonated with me the most. These series of homework assignments were just a natural part of the assignment. However, they also had traditional homework with practicing vocabulary, reading reading, vocabulary and verb activities. I found these activities useful to what they were doing. How can I make this type of homework meaningful? This is my personal quest to create a menu of assignments that integrate these core components. Then again, I may not have to do it myself. Check out what other teachers are doing. This Real World Assignment posted by La profesora Frida. It sheds light on the question in part as the assignment allows students to interact with language in a very natural way. 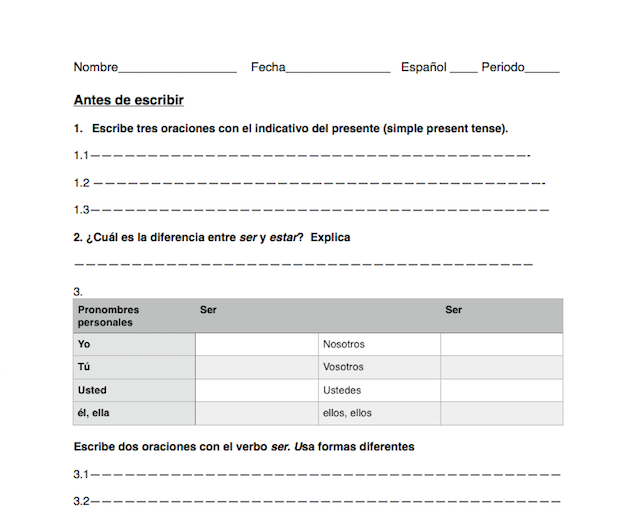 This assignment can be modified for students who are not privy to technology, but it is a great start and granito a la conversación. I am still seeking clarity on this debate about homework in the language class, what is its place, purpose, and priority? I will update this post periodically with ideas, resources, insights and of course more research! Your thoughts? What assignments do you give as homework? Country Project by Señora Cruz- students use graphic organizers to complete information about their country. Real World Assignment posted by La profesora Frida.